Sermon upon the Occasion of the Celebration of the Twenty-fifth Anniversary of the Consecration of the Rt. Rev. Thomas Underwood Dudley, Preached in Christ Church Cathedral, Louisville, Kentucky, Sunday Afternoon, January 28, 1900. Thomas Underwood Dudley: An Appreciation. Sermon in Memory of the Rev. Henry A. Wise, Late Rector of Christ Church, Baltimore, Md. An Address Delivered before the Society of Alumni of the University of Virginia, July 2nd, 1879. Charlottesville: Chronicle Steam Power Book and Job Print, 1879. A Wise Discrimination: The Church's Need. Sermon in Memory of the Reverend Stephen Elliott Barnwell, Late Rector St. John's Church, Louisville, Ky.
Louisville: J.P. Morton and Co., 1891. The Christian Workman: A Sermon Preached in Christ Church, Hartford, Conn., June 23, 1895, before the Graduating Class of Trinity College. Hartford: Case, Lockwood and Brainard Company, 1895. The Unity Declaration: What Does It Mean? A Sermon Preached at the Consecration of the Rt. Rev. 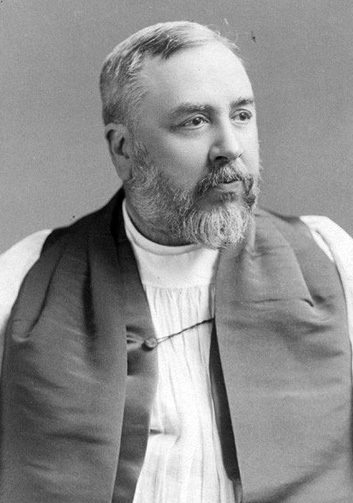 John B. Newton, Assistant Bishop of Virginia, in the Monumental Church, Richmond, VA, May 16, 1894. New York: James Pott, 1896. The Church in the United States: A Sermon Preached in St. James's Church, Piccadilly, London, on July 4, 1897. The Anglican Communion, Its Position and Prospects: Sermons Preached in St. James's Church, Piccadilly, in July and August, 1897. London: Society for Promoting Christian Knowledge, 1897. The Memory of Robert E. Lee: Address to the Confederate Veteran Camp of New York. New York: Andrew H. Kellogg, 1901.